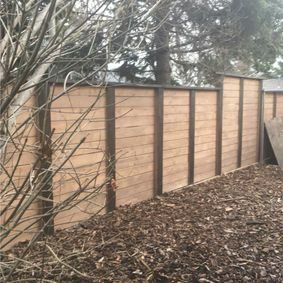 Jumbo lattice panels are placed between the upper rails and are held in place with one-by-one nailing strips and one-by-six fence boards placed one-half inch apart. 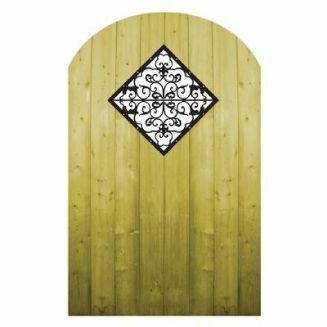 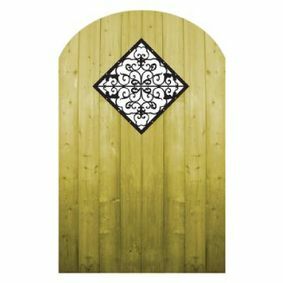 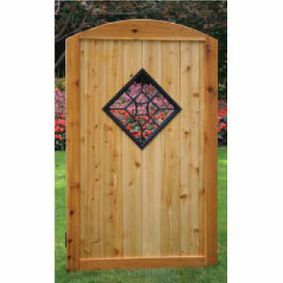 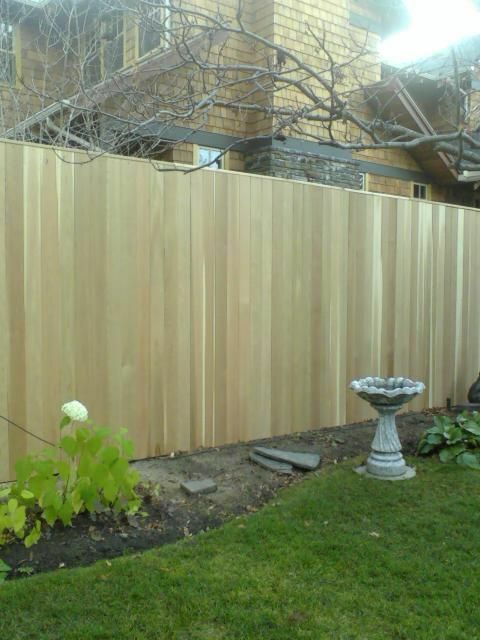 Our lattice fencing is available in several wood grades and sizes. 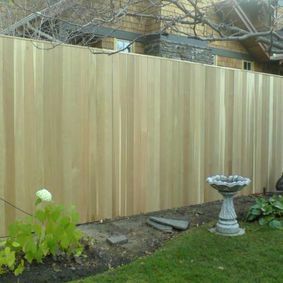 Brentwood fencing offers a unique curve that distinguishes itself from other styles – you have the choice of whether you want it to curve up or curve down. 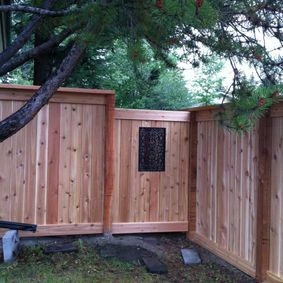 Fortress fencing gets its name from its sturdy, strong and sag-free design, which is reminiscent of fortress' walls. 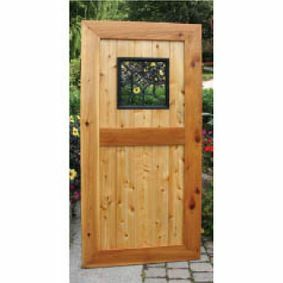 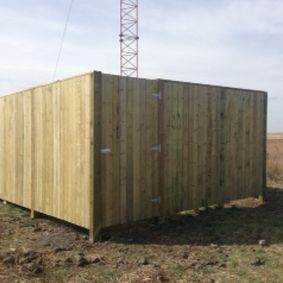 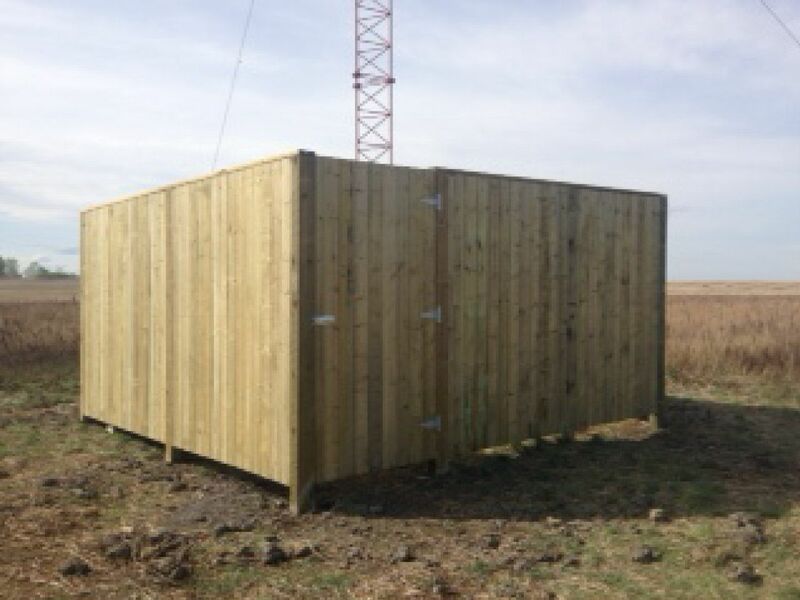 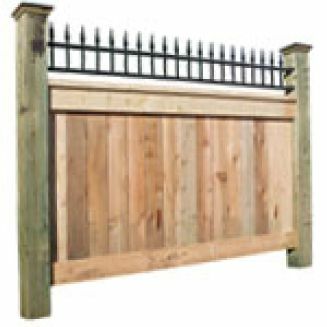 It is one of the most rugged fences we offer, built with a strong, sag-free design. 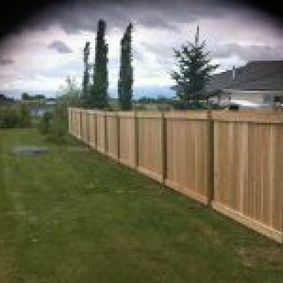 On Sherwood fencing, the tops of the fence posts are higher than the fence boards in order to allow decorative caps to be added to the tops of each post, for that added personal touch. 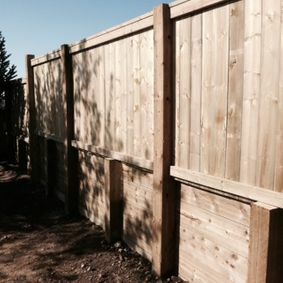 Our Duggan fencing is designed with four-by-four pressure-treated posts that are cemented into the ground. 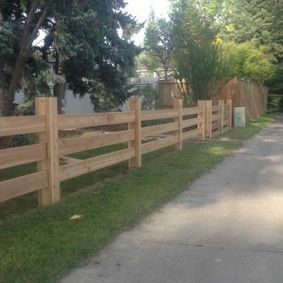 Strong upper and lower two-by-four rails, as well as a one-by-four sub rail on the bottom, hold the one-by-six fence boards in place securely. 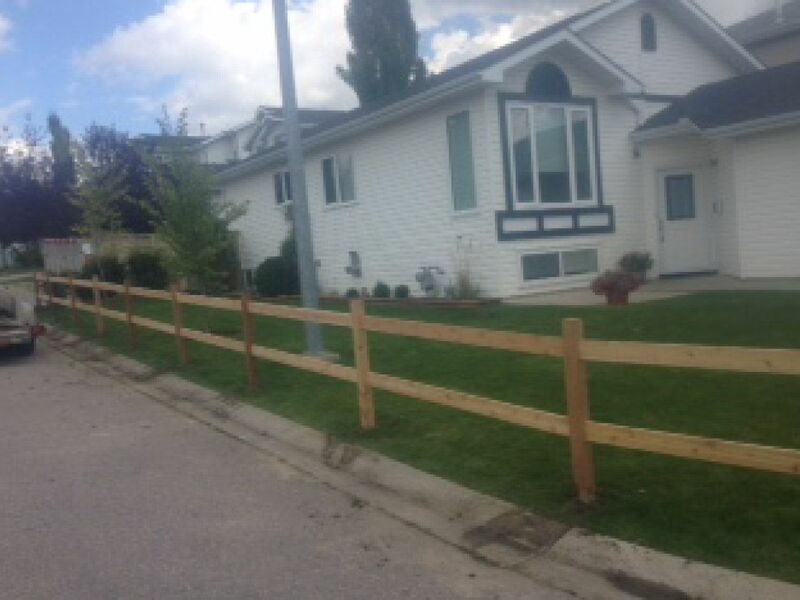 Our Dalhousie fencing is designed with four-by-four pressure-treated posts that are cemented into the ground. 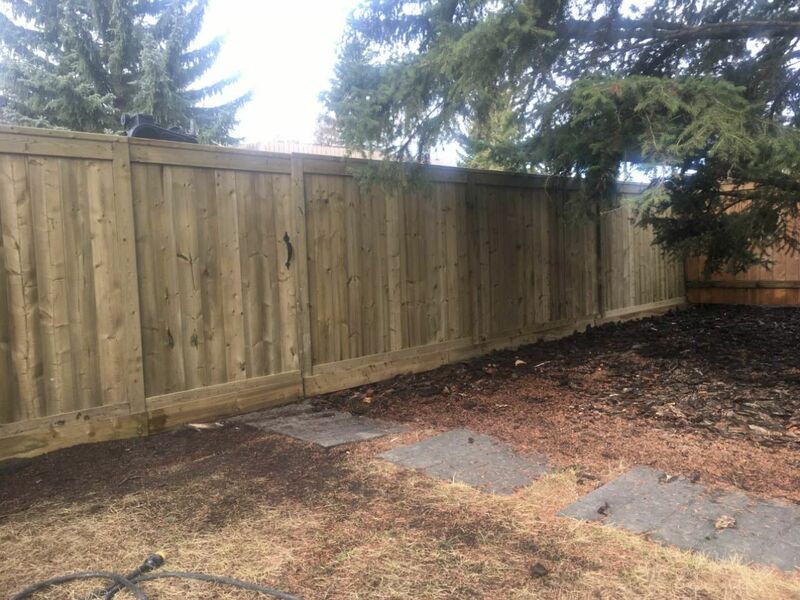 The one-by-six fence boards are placed tightly together on one side of the rails and then on the other in alternating eight foot sections. 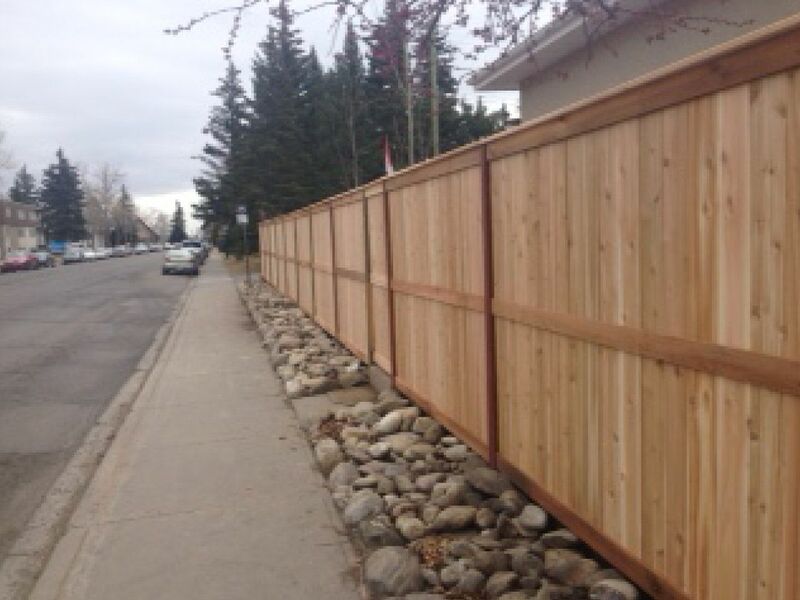 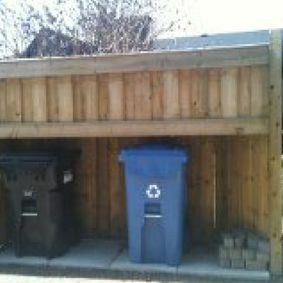 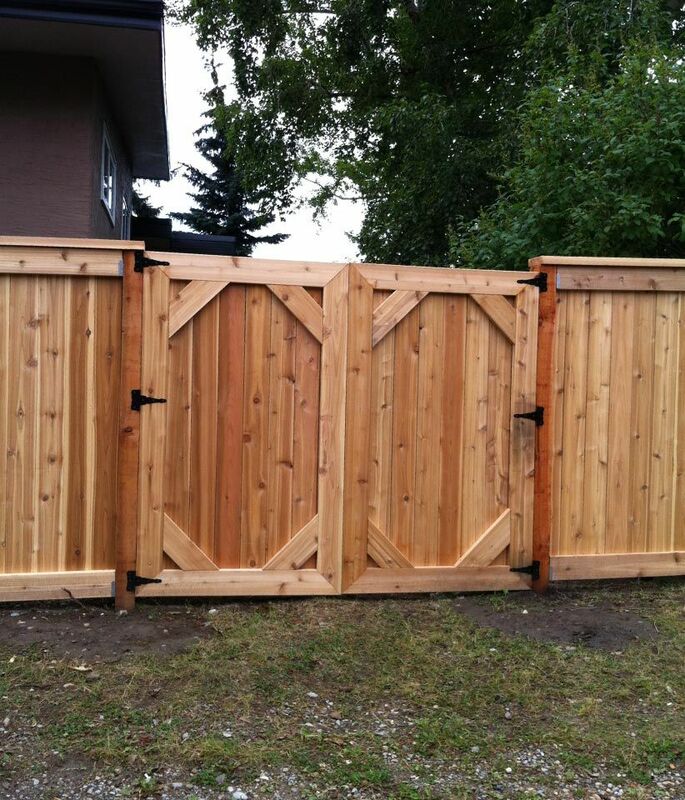 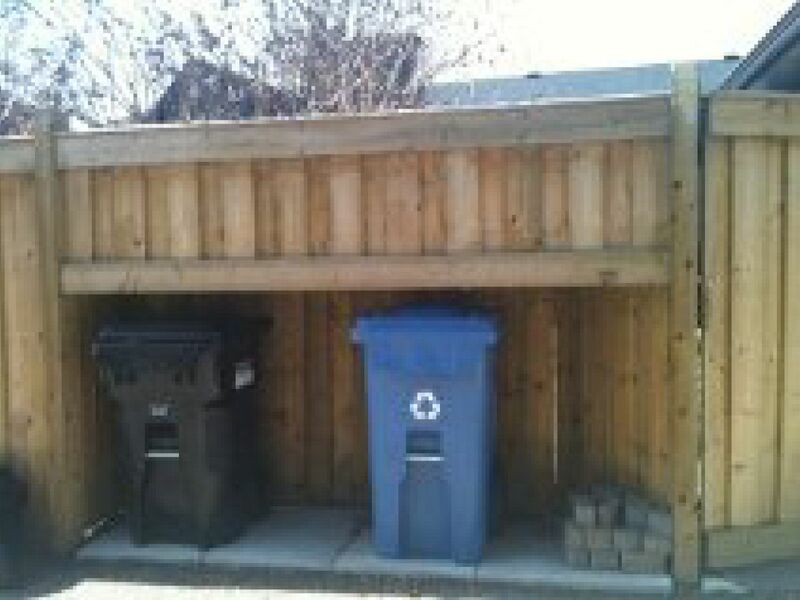 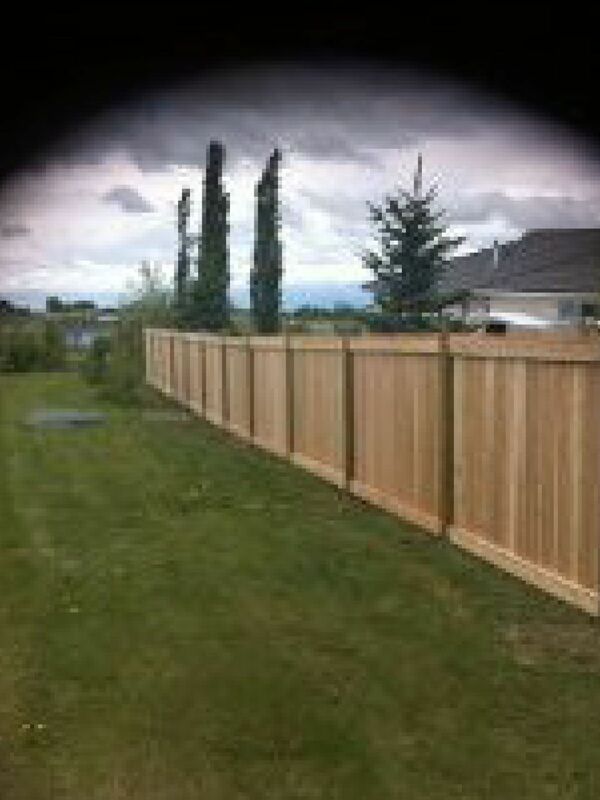 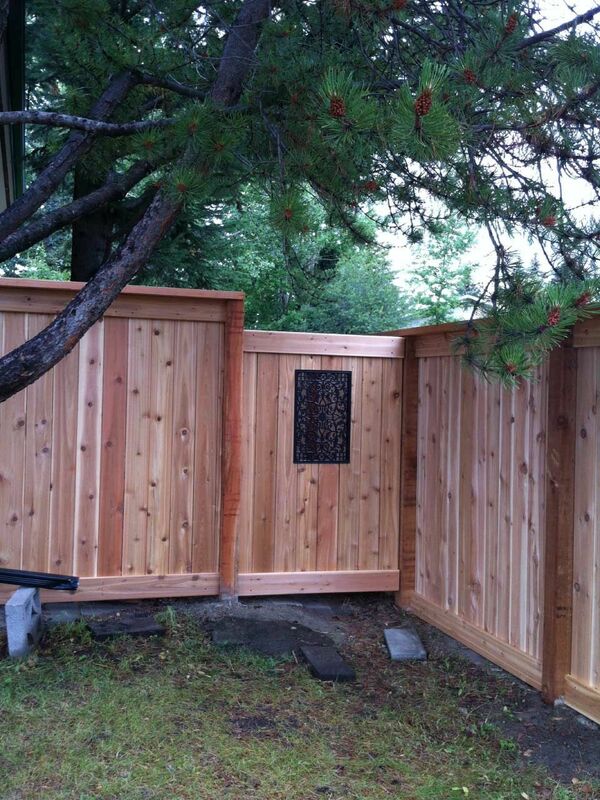 The alternating fence boards give added privacy because they are placed very close together. 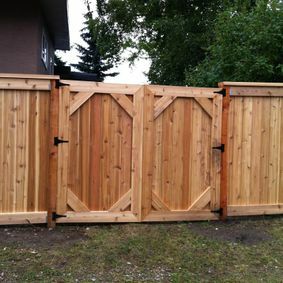 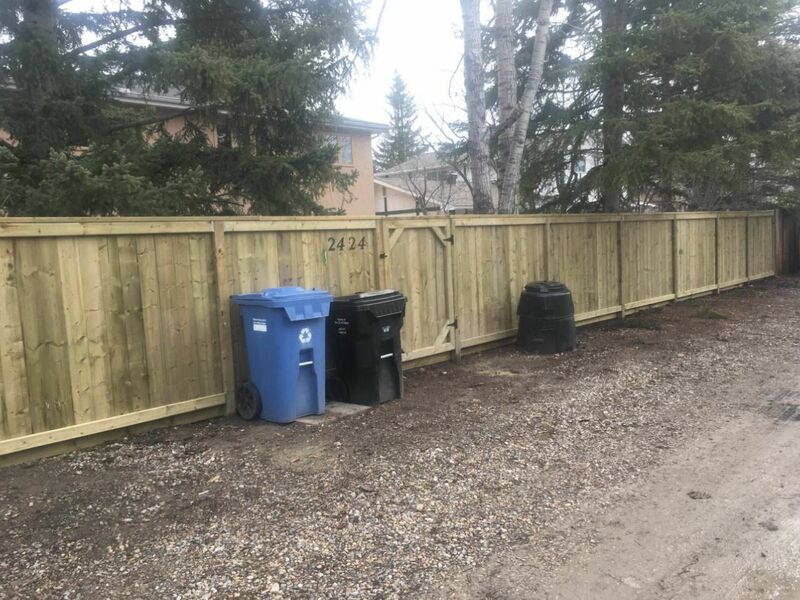 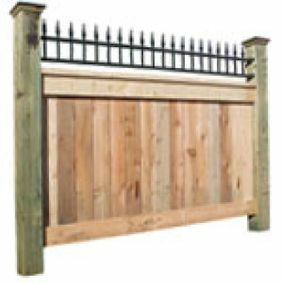 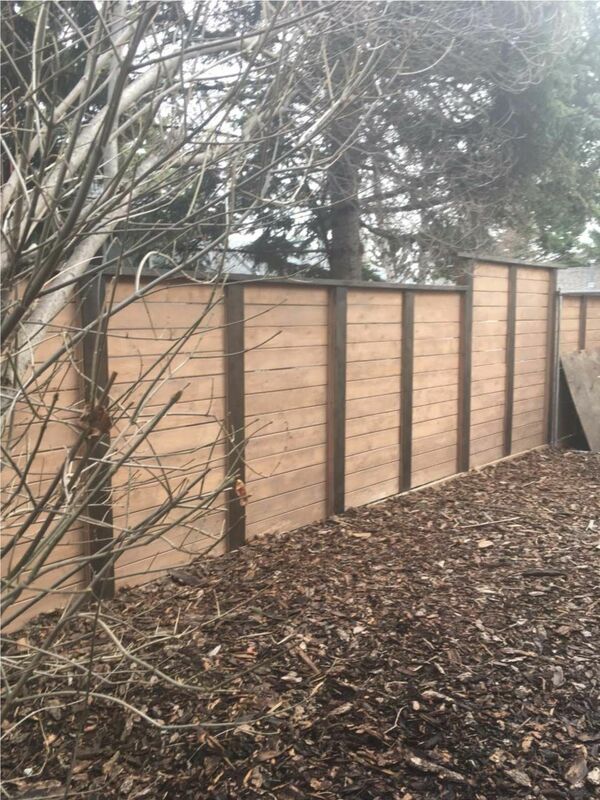 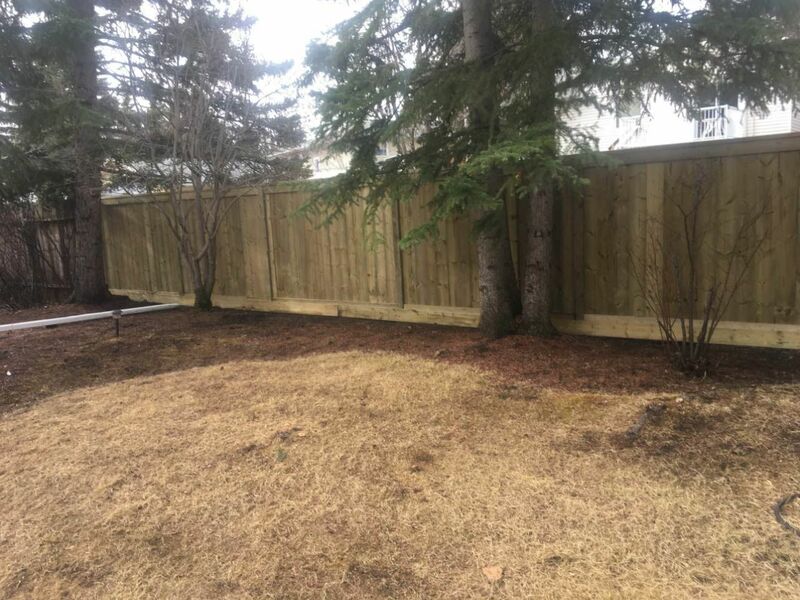 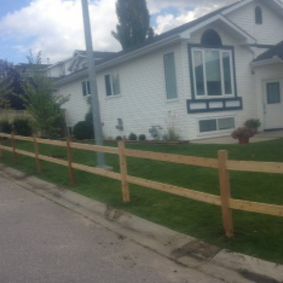 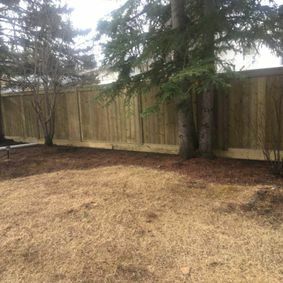 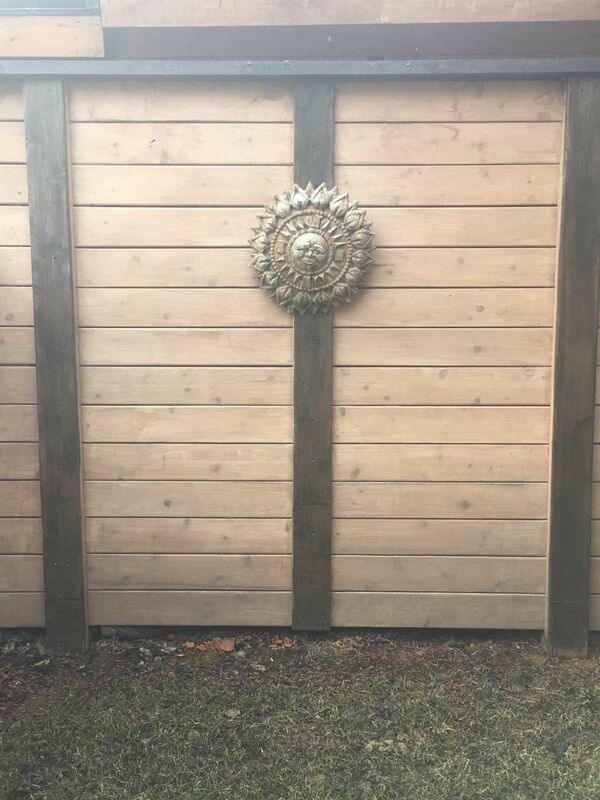 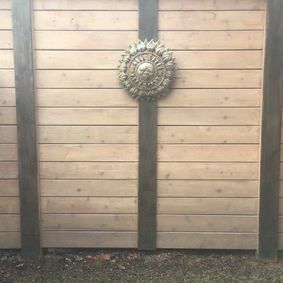 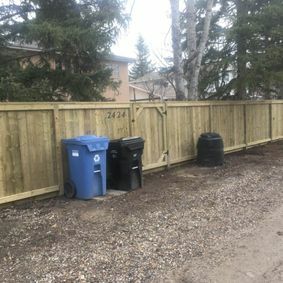 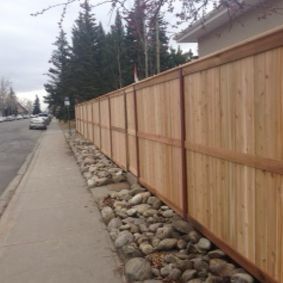 Our Cedarbrae fencing is designed with four-by-four pressure-treated posts that are cemented into the ground with the one-by-six fence boards placed along one side, and one-half inch apart. 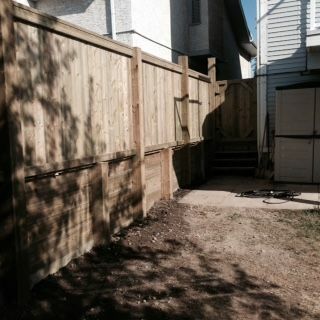 Upper and lower two-by-four spruce rails are placed along the back side of the fence for added stiffness. Our Millwood fencing is designed with four-by-four pressure-treated posts that are cemented into the ground. 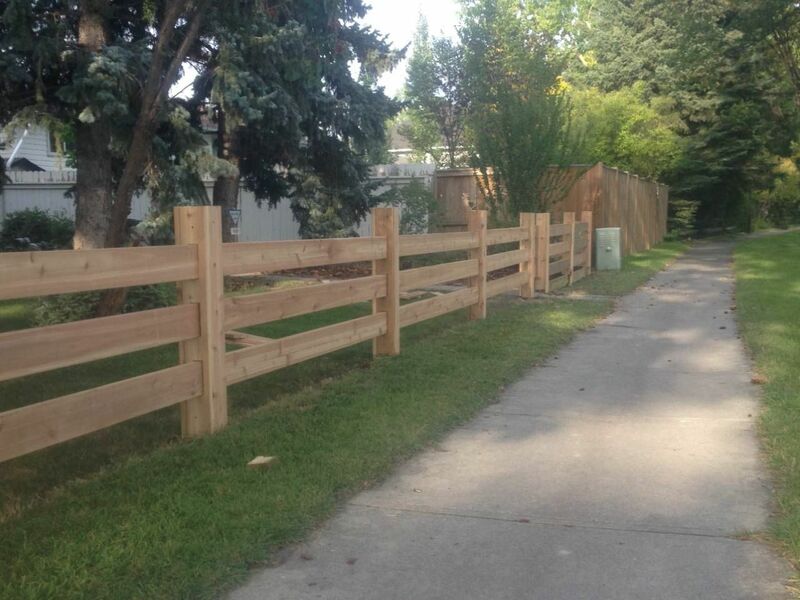 Two-by-four dry spruce rails are placed horizontally to support one-by-six fence boards. 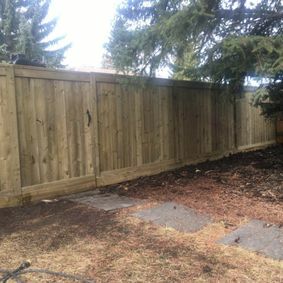 The fence boards are placed one-half inch apart and alternate as to which side of the support rails they are placed on. 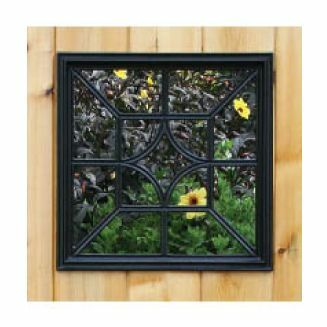 Special order – please call us for pricing.